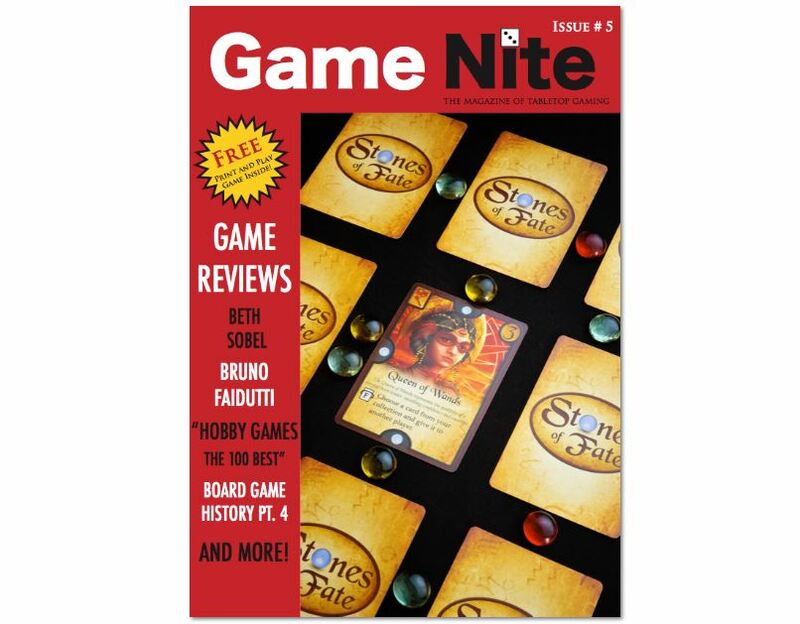 Issue #5 of Game Night Magazine is now available for your downloading and reading pleasure. It's free, so there's no real reason to not at least thumb through it. I'm sure you'll find an interesting article or two. This issue features interviews with Bruno Faidutti and Beth Sobel. As well as Pt. 4 of their Boardgame History series (The Middle Ages), a "How to..." article on framing Game Art, a book review of "Hobby Games: The 100 Best", Games in Education, Game Reviews, and more. Part of that "more" is that there are two Print and Play games. Free magazine with free games inside? Yes, please!